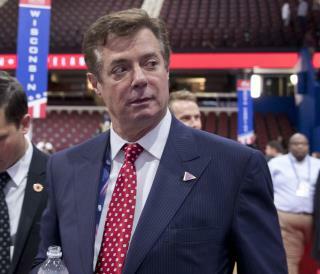 (Newser) – President Trump's embattled former campaign chairman has hired a new legal team as the pressure from Robert Mueller's Russia investigation increases. Jason Maloni, a spokesman for Paul Manafort, says Manafort has dropped law firm WilmerHale, which had been speaking to investigators on his behalf, and now plans to hire Miller & Chevalier, which specializes in international tax cases, to represent him in the special counsel's investigation. Reuters reports that Manafort has previously been represented by Miller & Chevalier's Richard Hibey, whose previous clients include Clair George, a former CIA deputy director convicted of lying to Congress about the Iran-Contra scandal. All these Shuffling of Lawyers shows the desperation of these guys… If they had nothing to hide they could utilize any Two Bit Ambulance Chasing Lawyer. "Tough stuff"...well then, keep your nose clean.